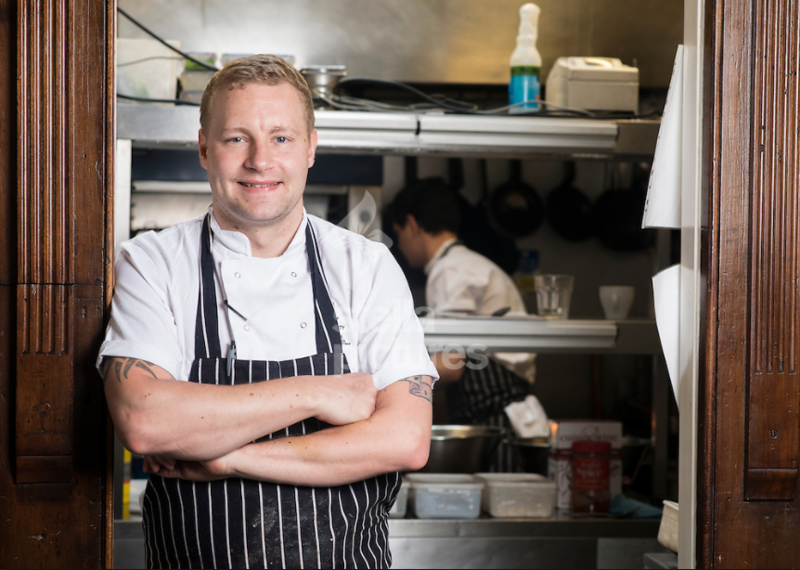 Following stints at Paternoster Chop House in the City of London and a head chef role at Bistrotheque in East London, chef Shaun Searley took over the reins at The Quality Chop House in Farringdon in 2012. 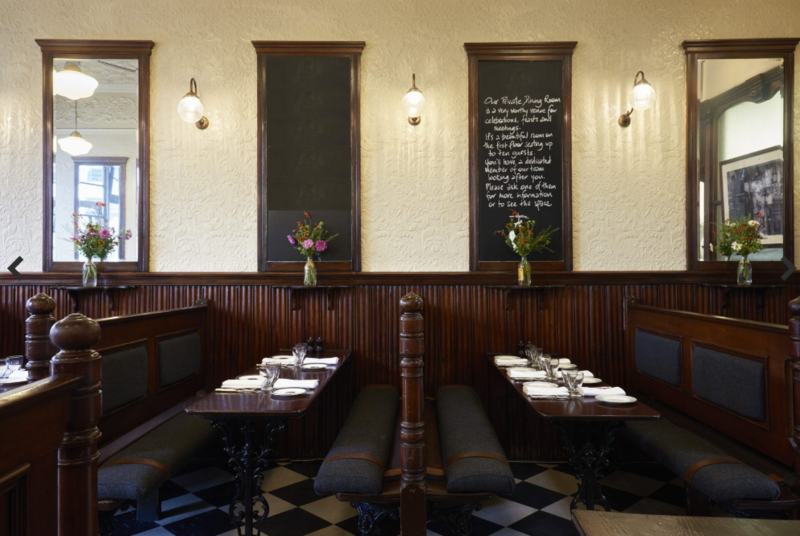 Since it opened its doors in 1869, the only difference between its original décor and current incarnation are the cushions lining the wooden booths. 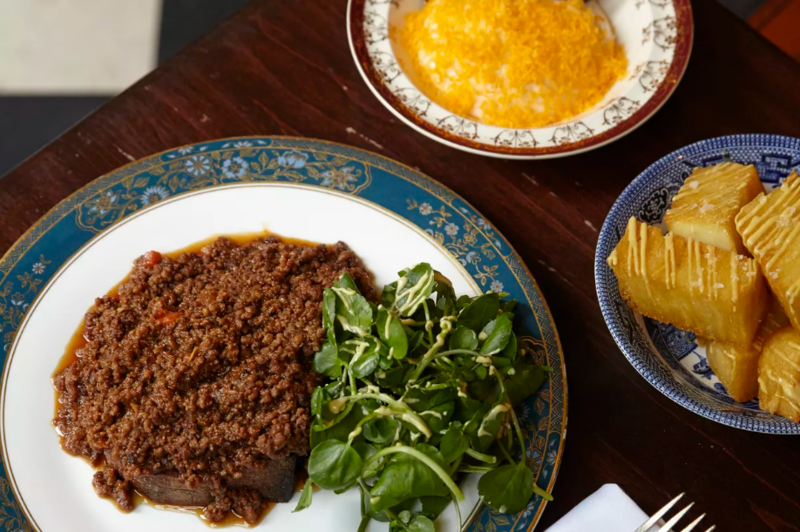 Unlike the fixtures and fittings, the menu has undergone a transformation and now offers produce-driven British dishes to satisfy meat, dish and vegetable lovers alike. QCH being one of my favourite restaurants, it was an absolute pleasure to sit down with Shaun and chat to him about food-related travel, what frustrates him about the hospitality industry and telling lies. I had this incredible dish at The Fat Duck called ‘Botrytis’. It’s a fungus that grows on grapes, which ends up being ‘noble rot’ and can taste really good or bad. They recreated that flavour profile, but in a dish. I had a similar one in a New York restaurant, which was good, but their version was so unique in its own right. You’re envious of that creativity when you’re eating it! In his answer to the above, Dan Doherty mentioned your confit potatoes. Do you have a favourite dish on The Royal Oak menu and what do you love about it? I haven’t been to The Royal Oak yet, but the dish I love the most at Duck & Waffle is the Full Elvis: it’s insane and filthy, but delicious. As for the signature dish, I can’t have it because I’m allergic to duck eggs, so I’m not into that one. Chefs creating dishes solely to look good on Instagram, i.e. ‘Instagrammable’. It’s a horrible word, as is ‘vibe’; I personally don’t like either word. It frustrates me because you get asked by journalists or bloggers whether you created something to be Instagrammable or delicious. I suppose the confit potatoes do fall under that category, but ultimately you want food to taste good first. There’s nothing worse than when you finally taste a dish which has been hyped by the London food scene and it’s rubbish; it’s so frustrating. If it tastes good and looks good, I’m fine with that, but if the priority and objective is just for it to look good, then it’s annoying. Diners taking photos and videos of their meal to share on social media and blogs is very common nowadays. How do you feel about this modern-day obsession? Sustainability is becoming increasingly important. 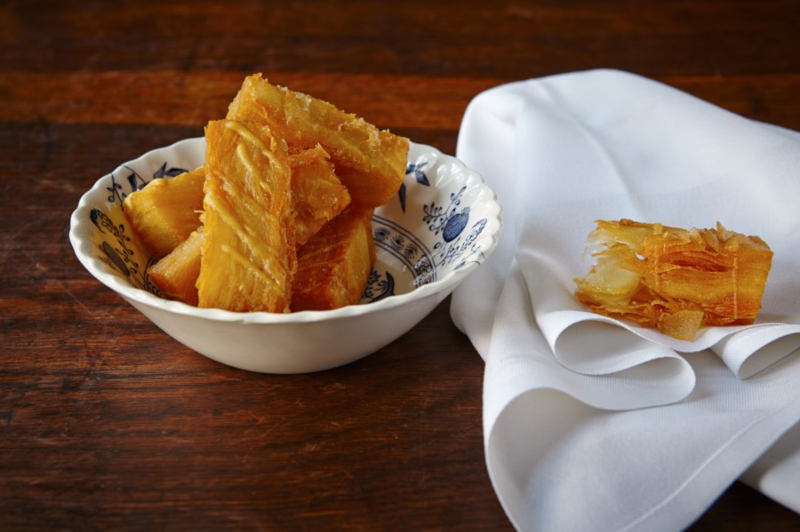 How do you minimise food waste and the environmental impact at The Quality Chop House? We recycle as much as possible; our general refuse has been reduced significantly in the last six months. We’ve also started recycling food waste daily, so it’s collected and then turned into organic waste. The compost is then used to grow vegetables which are sold back to the industry. We don’t buy the end products right now, which would make a nice story and complete the cycle. In the restaurant, we save the coffee grounds and use them in recipes and our own compost. We’re going to grow our own fruit and veg in our roof garden, but there are just a few planters at the moment. Are there any classic international dishes that you particularly enjoy and how would you give them a British makeover? One of the best examples was an olive oil gelato I had in New York at Otto’s. It was one of the best things we ate, and we ate a lot: 20 restaurants in a few days, albeit in a few dishes in each one! We were told to try the pizza with lardo and this gelato, which is everywhere in northern Italy. I was already using the same olive oil as them: Capezzana from Tuscany. I recreated that here, which took me about a year. It’s one of the few things we’ve worked on to that extent. It’s a British ice-cream, though – milk, cream, eggs, sugar and olive oil – whereas gelato has different ingredients. It’s having a few weeks off whilst we do blackcurrant leaves, but it’s one of my favourite dishes. If you were to do a kitchen apprenticeship this year, which restaurant would be at the top of your list and why? Frantzén [in Stockholm]. The food that Björn Frantzén cooks definitely isn’t what we cook, but I love the Scandinavian approach and how full on he is with flavour profiles. Which chefs would you most like to collaborate with and what do you admire about them in terms of their cuisines and characters? There are so many chefs I’d like to work with and I don’t want to choose an obvious one, like people who are winning three Michelin stars. I’d rather collaborate with somebody like Thomas Keller; he’s been cooking for his entire life and he’s done everything. I’ve never met him; I screwed that opportunity up when I went to dinner as I thought he’d come over and he never did! His presence in interviews is so impressive and if you could have 10-15% of his personality, it’d make you a much better person. When did you last lie and why? I don’t lie. Well, there’s the odd evasion of the truth. My wife’s birthday was in February and one of our good friends ended up getting her the same wine book that I’d bought for her. When they asked if I’d already got it, I said no. We’re about to start a new campaign with Portland and Clipstone which is in aid of Action Against Hunger. 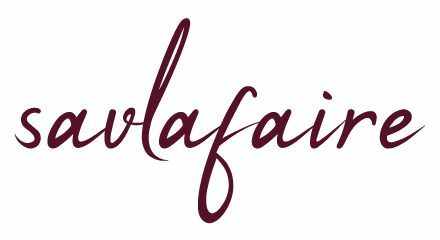 They’re my chosen charity; there are loads of people doing fantastic work, but this is the one that appealed to me the most when deciding who I could work with. I could definitely talk for a while about what they do and how they do it. In October, we go to Ethiopia to trek, so we’ll be adding £1 to every bill across all three restaurants for two months. During that time, we’ll also collaborate with other chefs. ‘Where are the chefs?’ This question would probably wind up a lot of chefs, but for the first time in the last few years, it’s starting to affect us. There aren’t enough cooks. There are plenty of restaurants opening, but also plenty closing all over the world. It’s too early to say whether Brexit will have an impact, although I’m sure it has put people off wanting to start a career in the UK. As for work ethic, you’ve got to line up the benefits, a good salary and all the things chefs want to hear first and food and experience comes second. You can be very stubborn and not change the way you work – and I know people who do that – or you can be flexible and listen to what people want and need. So, you end up increasing the work-life balance; we do the same hours here, but we try to squeeze in a few benefits. We adjust our budgets so that we can pay people a bit more. If you could make a 20-second phone call to yourself at any point in your life (past, present or future), when would you call and what would you say? I would’ve liked to have gone travelling. I’d never have thought about Japan back then, but their cuisine is very difficult to just learn. They’re so refined and detail-oriented about everything, like butchery for example. Their food philosophy is much greater than the UK’s and that’s the biggest draw. I’d rather have done that when I was 18 and had zero commitments. When people hear your name, what do you think is their first thought about you? While we are on the subject, what is the story behind them? 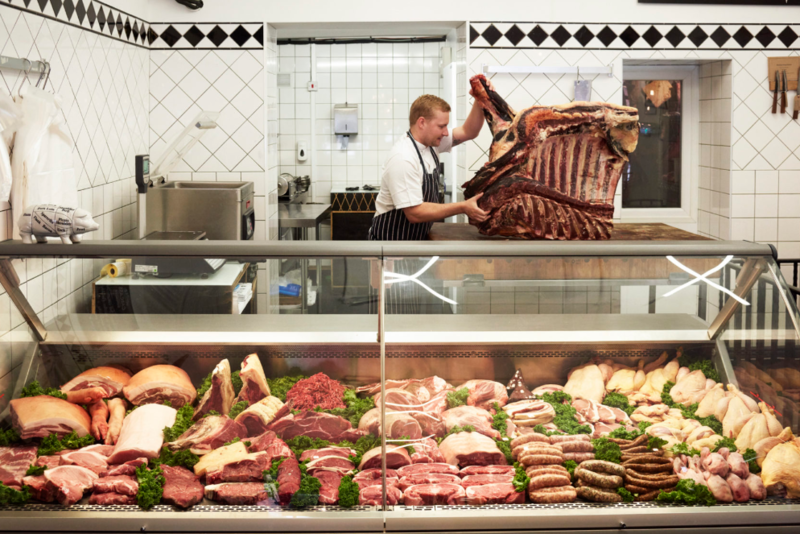 When we opened, we knew we wanted a strong meat/protein focus, as well as a strong emphasis on fish. We needed a carb that could be churned out. I absolutely didn’t want chips; I haven’t served a single one. I just thought the restaurant didn’t need chips, which can be sophisticated, but this restaurant is on a different level. So, one of the sous-chefs created this layered potato thing, which is basically what we do now, but instead of chilling it, it was almost spooned out and fried as a big shard. When it came out, it was aggressive and tasty, but it was a big slab of fried potato. We put it on the menu about 3-4 months in and were doing one tray a week. I never wanted it to be a staple, but we conceded because it was a bit different and not a generic side dish. What item which is widely considered a luxury is one that you could not live without? Probably truffles; we have them on about nine months out of the year. Did you mean personally or at the restaurant? Because I don’t need to have truffles at home! There are some incredible seasons all year around. We’re using the Australian truffle now because our summer is their winter, so they’re abundant and very good. They taste a lot like a black Périgord truffle, which is also a winter truffle from France. They’re mushroomy and really rich, whereas white truffles are more aromatic and have a powerful perfume. They’re also a completely different price: we pay around £900/kilo for black truffles and the white ones are closer to £3,000! We buy a much smaller amount of them. On a personal level, my wife and I have Champagne at home every Sunday. We’re not talking Krug every week, but it’s a nice thing we do on Sundays as it’s the only day we’re usually together; she also works in the industry. Which films, books, songs or plays would you erase from your mind so that you could experience them for the first time again and why? I’ve only ever read one book and that was ‘Kitchen Confidential’. I reckon if I read that once every five years, I’d come across things that I didn’t quite remember from the time before. I don’t read books because I work so many hours and as soon as I open a book, my eyes just close. Short magazines are the most I can handle. I’m obsessed with all genres of films, too. I last thing I loved was Stranger Things on Netflix; I’d love to bingewatch the two seasons from the beginning. 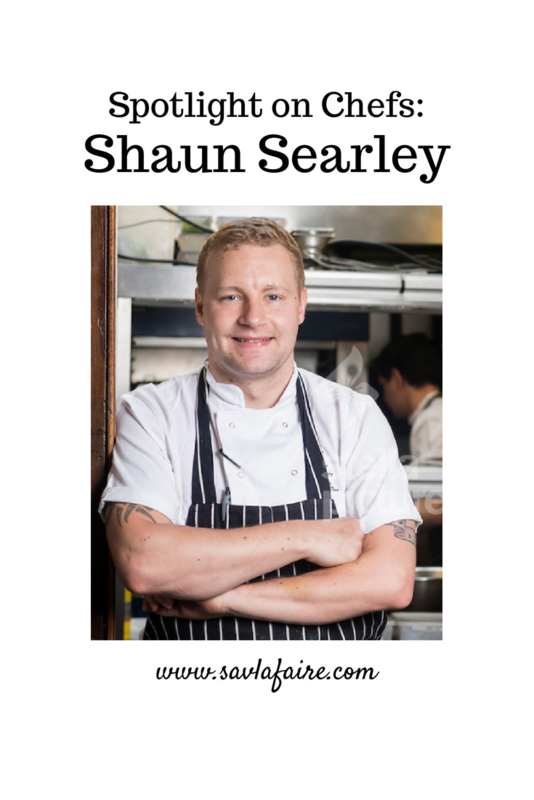 If you enjoyed reading this Shaun Searley interview, you can check out more exclusive Spotlight on Chefs interviews here. I absolutely love QCH, so it’s really great to find out more about Shaun. Their open kitchen means that you can easily watch him and the other chefs as they go about their business, and the enthusiasm and dedication is there to see. The food is always top notch too – their roast and burger are probably the best of their kind I’ve ever had. And the period furnishings are a treat – a window into Victorian London. Great interview, Seetal! Those confit potatoes sound and look amazing. With regards to the grape fungus- wow! Never heard of that. Lovely interview! Every dish is amazing there – glad you enjoyed the piece, Neha! I love the look of the confit potatoes, they look delicious and they’re definitely a dish that separates this place from other more generic places. That dish is spectacular, as is the rest of the menu. Shaun is a really lovely guy as well – very down to earth. One of my favourite restaurants in London for sure.